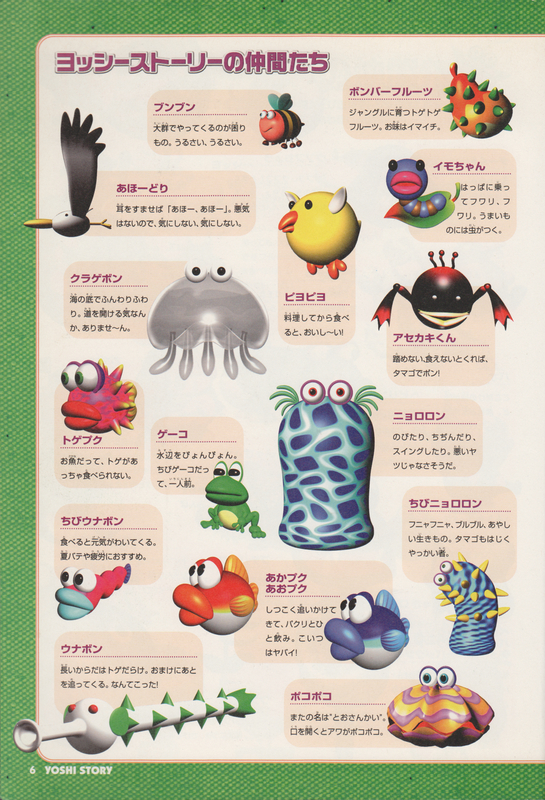 This article is about the Yoshi's Story enemy. For other species of eel, see Eel. 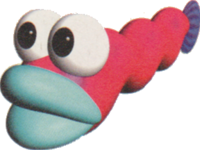 A Mr. Eel, also simply called Eel, is an enemy that appears in Yoshi's Story. They are seen only in stages with water, namely Jungle Puddle and Lots O'Fish. These enemies do nothing but mindlessly swim through levels, moving through walls and other obstacles; as a result, they do not pose much of a threat. Mr. Eels always come in unlimited numbers, which can prove to be useful, as they can be eaten by a Yoshi to restore life on its Smile Meter. When a Yoshi eats a Mr. Eel, it gives him an egg, but it is useless underwater. ↑ Yoshi's Story official website (Wayback Archive). Retrieved April 23, 2015. ↑ Nintendo 64 Game Secrets, 1999 Edition Prima Official Strategy Guide. Page 114. This page was last edited on September 11, 2018, at 17:53.